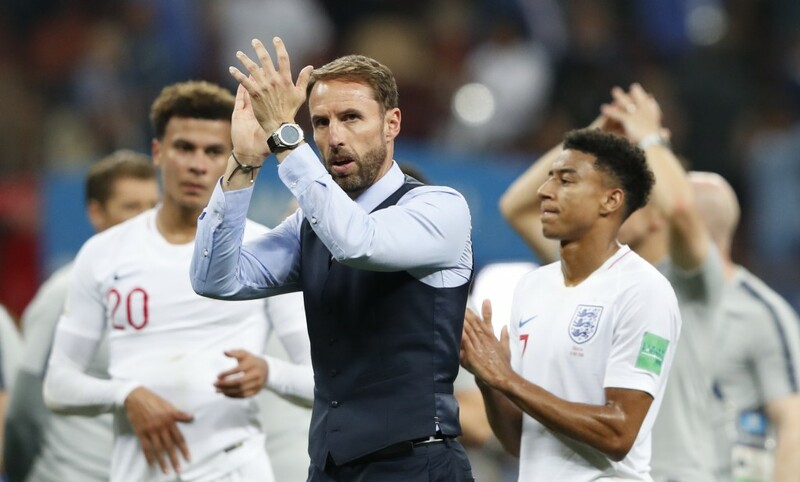 MOSCOW (AP) — A famous song lyric neatly describes the upbeat feeling around England's rejuvenated national soccer team. It's not "football's coming home." Instead, try the old punk rock line: "If the kids are united, they will never be defeated." 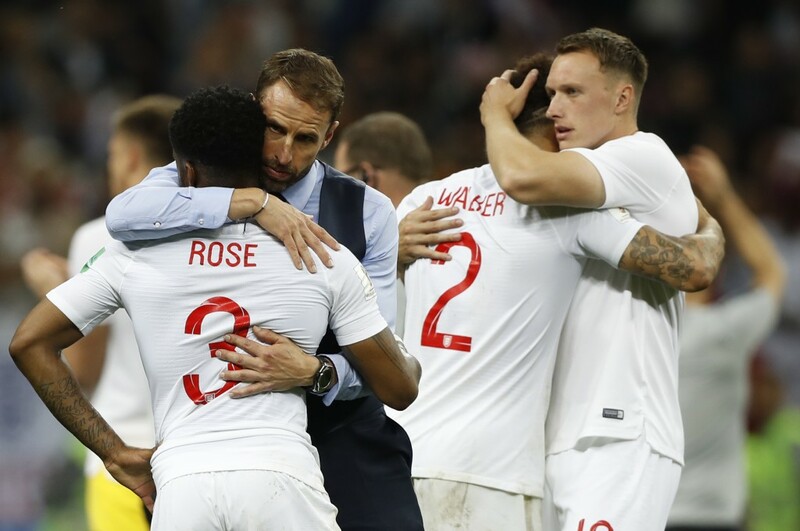 The positive emotions of England's young players are evident toward coach Gareth Southgate despite the 2-1 loss to Croatia in extra time in the World Cup semifinals. "You've brought belief and the love of football back. Thank you boss from the whole nation," 20-year-old forward Marcus Rashford wrote on his Twitter account Thursday. 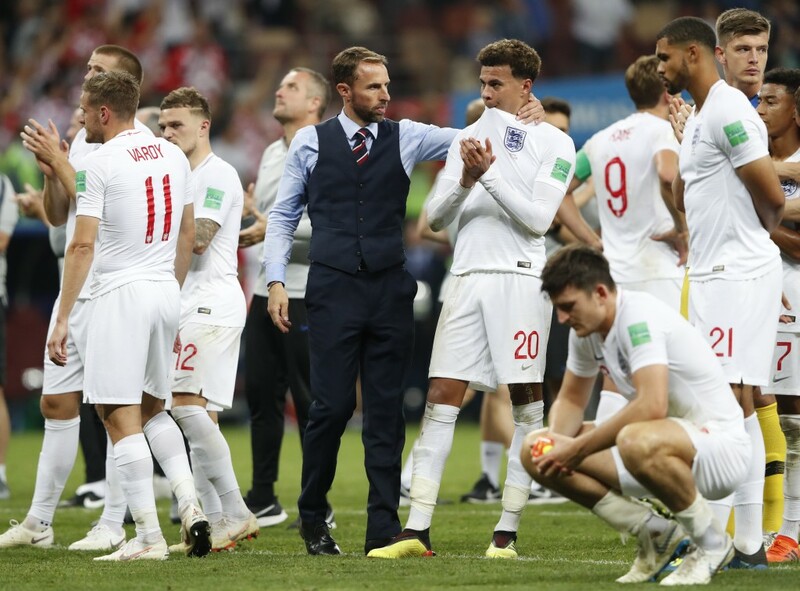 Over-achieving in a first major international test for Southgate and many of the squad has banished the anxiety that harmed too many England teams in recent years. Rashford, a sharp and fast second-half substitute in Moscow on Wednesday, is not even the youngest of Southgate's players in Russia. At 19, Trent Alexander-Arnold impressed in the Champions League final for Liverpool in May, and weeks later started his first World Cup game, against Belgium. "It has been an honor to be a part of this special team. We will be back stronger," Alexander-Arnold wrote on Twitter early Thursday. Alexander-Arnold, a quick, right-sided defender, will need to force his way into the team past Kieran Trippier, perhaps the standout success of England's tournament. 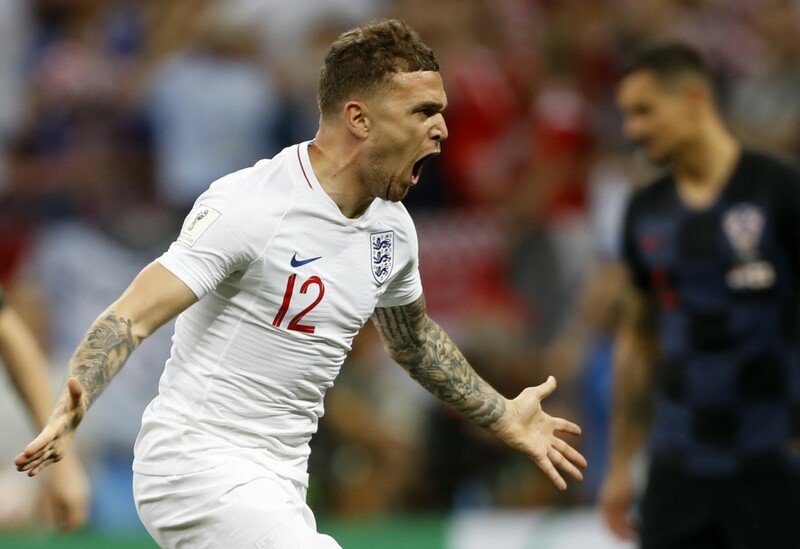 Trippier delivered world-class corners, crosses and free kicks, including the fifth-minute goal against Croatia that raised hope of a first World Cup final berth since 1966. 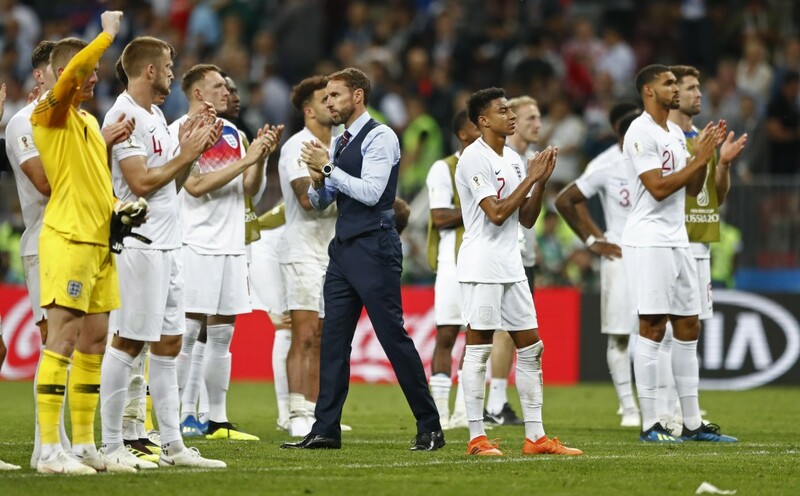 The Tottenham player gave an emotional endorsement of Southgate, who seems likely to guide England's team to the 2022 World Cup in Qatar. "It all comes from the manager, unbelievable manager for me personally, the way he handles the team," Trippier said at the Luzhniki Stadium. "He sets the tone, he brought this team together." A relatively late bloomer at 27, Trippier is a rare England player who will turn 30 before kickoff in Qatar on Nov. 21, 2022. The four attackers who started Wednesday, including 24-year-old captain Harry Kane, are between 22 and 25. The heart of the defense — John Stones, Harry Maguire, plus goalkeeper Jordan Pickford — are in the same age bracket. It's a talent pool setting up England as a serious title contender in the coming years. There is still room for envy if England can bear watching the World Cup final on Sunday. In the midfield duels, France fields the elegance and power of Paul Pogba and N'Golo Kante against Croatia's precise pair of Luka Modric and Ivan Rakitic. There isn't likely to be a Modric-type player in England's team ahead of the 2020 European Championship to help retain the ball, pace the play, and manage the toughest games. Those are the kinds of qualities England needed after halftime against Croatia. "If we're in the position again, we'll be better off because of the experience of what we've just had," said 28-year-old Jordan Henderson, who was Liverpool's captain in that Champions League final loss to Modric and Real Madrid. The incentives are huge. Euro 2020 is being hosted across 12 countries, but England could qualify and be placed in a group based at Wembley Stadium, travel for two knockout rounds, then come home for the semifinals and final at Wembley. "The aim if we're at the Euros in two years' time is to go again," said Kane, who should be Southgate's chosen captain for years to come. Before qualifying starts next March, England is in a fascinating group for the inaugural UEFA Nations League, which starts in September. Spain, under new coach Luis Enrique, visits Wembley on Sept. 8. England then travels to face Croatia on Oct. 12. The return games will be completed by November.